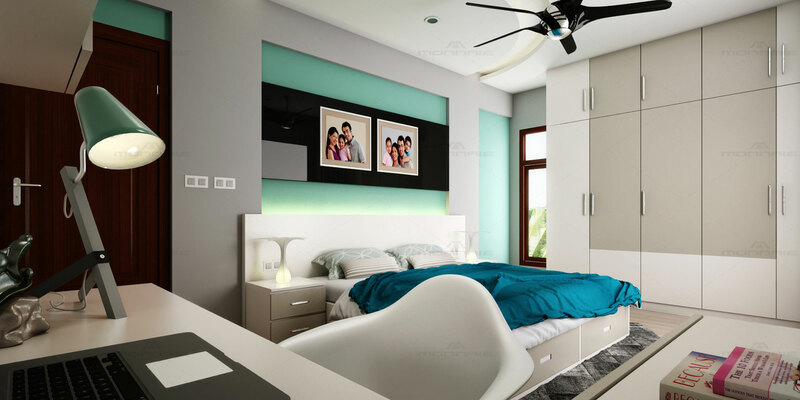 The glossy ambience and combination of variety pastel shades highlights the design.The furniture and fittings goes well with the color combination. The fresh look in the room with study area option is provided. The black panel in between the light pastel shades is the point of attraction.